I recently decided that I want to see more of Europe. There are so many amazing cities only an hour or two away that I had never been to so I made it my mission to start visiting some of them. First on the list was Amsterdam. KLM fly there direct from Glasgow Airport and it only takes an hour, so my boyfriend John and I decided to book up. We left the house at 4.30am for our 6 o’clock flight and after a short delay (only 20 minutes), we arrived in Amsterdam at around 8.30am (they’re an hour ahead of us). There’s a train straight from the Airport to Centraal Station which took no more than 15 minutes, so all in all, it was a pretty smooth journey. If you’re planning a trip to Amsterdam, definitely check out The Double Tree by Hilton at Centraal Station. It was in a great location (very central) and just a 3 minute walk from the train station. 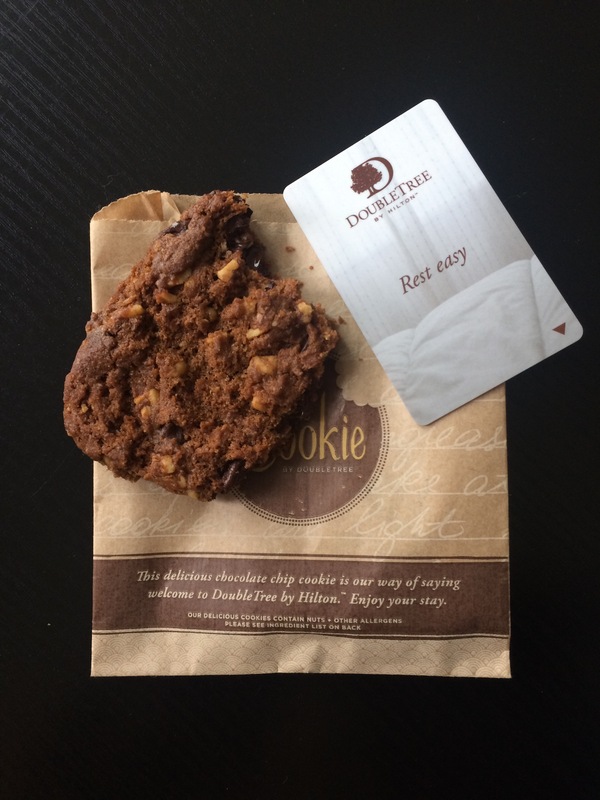 We also found the staff to be very friendly and welcoming, they even gave us a warm chocolate chip cookie when we checked in which was a lovely touch – and delicious too! We didn’t want to waste too much time so quickly dropped our bags off and went out to explore the city. We spent the first few hours wandering round the narrow streets and popping in and out of the little boutique shops before sitting down for a bite to eat and a drink at lunchtime in the one of the cafes we came across. I had a glass of prosecco and some cheese croquettes which came with some wholegrain mustard and a slice of bread. I can’t say I’ve ever tried that combination of food together but I really enjoyed it. After lunch it started to rain heavily just as we passed Madame Tussauds so we decided to go in as neither of us had been before. It was ok but I personally wouldn’t recommend going there. It cost 24 Euros each and we were in and out within half an hour. 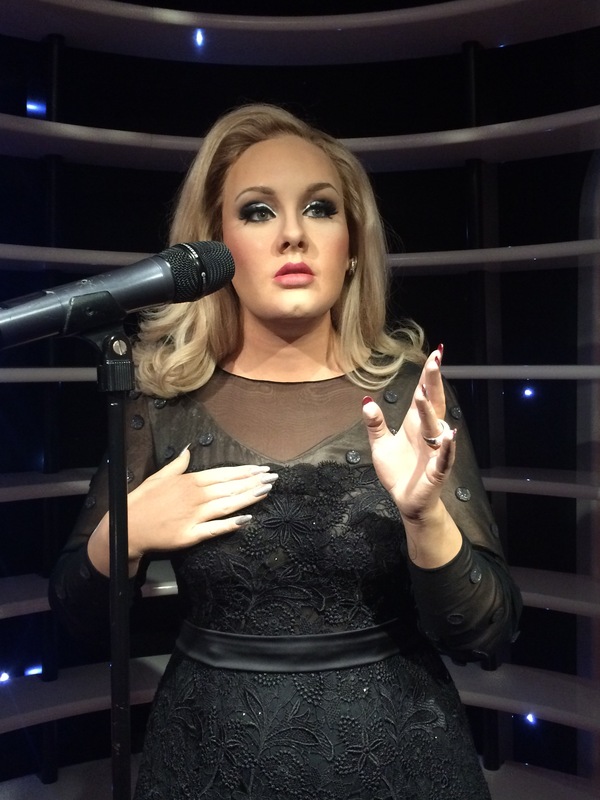 Some of the wax works were incredibly life like and it was interesting to find out how they were made, but once you’ve seen one, you’ve seen them all – it became a bit boring towards the end. I didn’t hate it but I personally wouldn’t go back. After Madame Tussauds we wandered back to the hotel and got changed for our night out. We had seen posters for the Heineken Experience and thought it looked interesting so we decided to go there. Heineken is also John’s drink of choice! I booked and pre-paid through my phone minutes before we left the hotel and I’m so glad I did. People were queued round the corner but as we had pre-booked, we were able to walk straight in. I definitely wouldn’t recommend just turning up as you may be queueing for quite some time. The Heineken Experience turned out to be our favourite part of the weekend. I’m not a lager drinker but I thoroughly enjoyed it all the same. 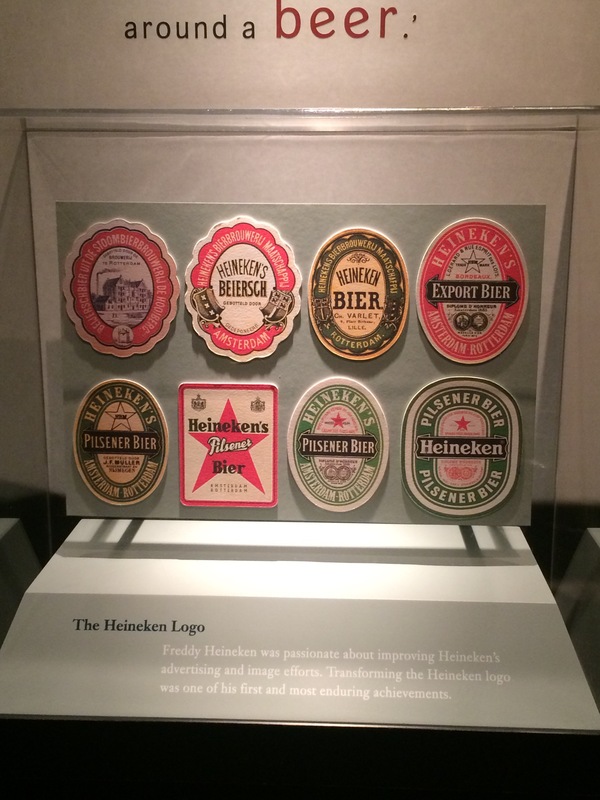 It’s basically a museum where you can find out about the history of Heineken and the family who created it, see how it’s made and loads more. 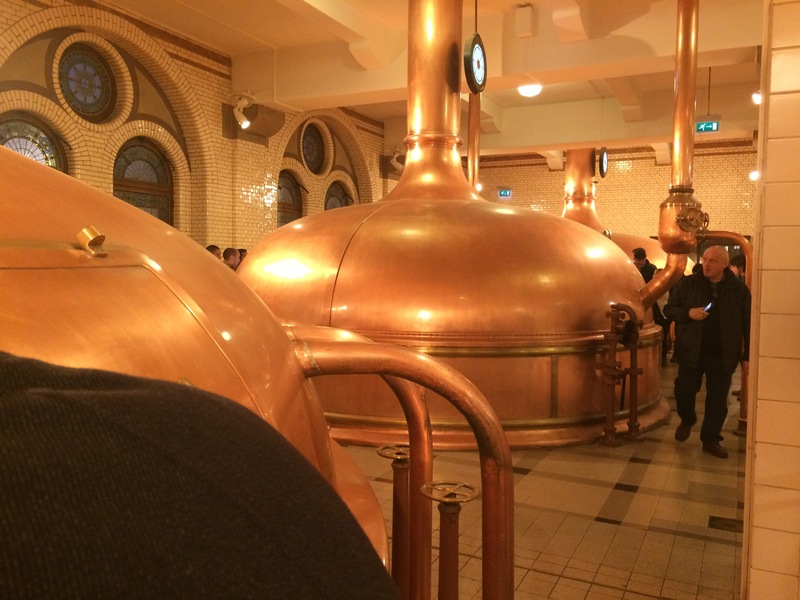 It is also very interactive, there’s a little lager tasting session, you can test your pint pouring skills, make a bottle with your name on it, and there’s even a fun little ride! Then at the end you go to the bar for a free pint (which surprisingly, I enjoyed)! If you’re going to Amsterdam, I would highly recommend this for something fun and interesting to do. After we left the Heineken Experience we went to The Hard Rock Café for cocktails and dinner which was the perfect way to end the night. It wasn’t a late one as we soon couldn’t wait to get to bed after a long and eventful day. The next morning we got up bright and early and went for breakfast at a little café near our hotel called Pippers. They do mini sandwiches and you can pick from over 50 toppings. The waitress recommended 2 sandwiches per person so I went for boiled egg, tomato and mayo in one and manchego and sundried tomatoes in the other , they were delicious! I’d definitely recommend Pippers for something a bit different. John had a coffee and he said it was the best coffee he’d had in a long time. They also had some desserts like brownies, cheesecake and apple pie which looked amazing. After breakfast we went to the Anne Frank Museum. I read her diary as a child so it was interesting to see the actual house she lived in. I found it quite emotional but enjoyed it all the same. Again I would recommend booking your tickets for this in advance as the queue was quite long for those who didn’t. After we left the Anne Frank Museum we went for some lunch and then had a little wander around the Red Light District. It was interesting to see this part of Amsterdam as I’d heard so much about it but it’s so different from anything I’m used to. We then headed back to the hotel to get ready for dinner. We decided to head to Rembrandt Square for dinner as it was an area we hadn’t been to yet. We found a nice little Italian Restaurant and had a meal there before heading to an Irish Bar where I found my new favourite drink – Somerby’s Cider! Not very Dutch, I know, but the Blackberry flavour was amazing, it took both John and me a while to figure out what it tasted like but I eventually realised it was drumstick lolly pops! Doesn’t that just sound so good?! 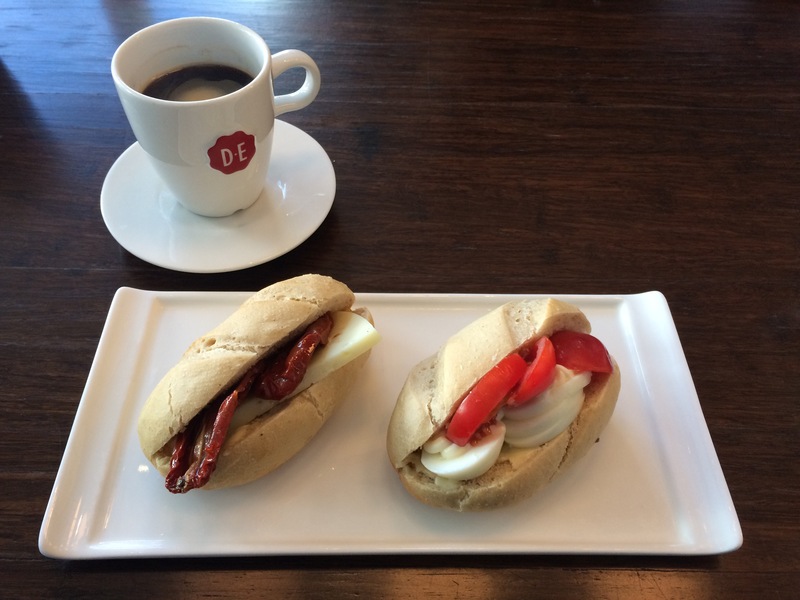 Our flight was at 12 noon the next day so we left the hotel in the morning to head to the train station, but not before we went back to Pippers for some more mini sandwiches – they were just so good! This time we shared a brownie too – it was so tasty! Amsterdam was absolutely amazing. I would highly recommend going if you haven’t already. In some ways I wish we had had more time there, but on the other hand, I’m glad that I’ve left wanting to go back. We haven’t decided where to go next but this trip has definitely given me the travelling bug so we’ll be booking our next trip soon! If you have any recommendations please let me know, and if you are going to Amsterdam and have any questions then please ask away and I’ll try to help if I can! Thank you so much for reading this, I hope you enjoyed it. Amy and I will see you soon for our next post. Hi everyone! 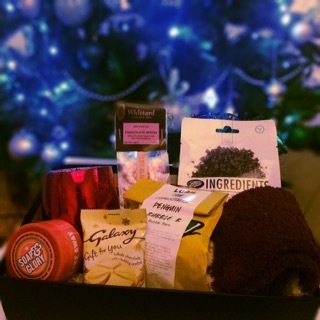 We’re back and well and truly in the Christmas Spirit with an affordable DIY Christmas gift idea… A gorgeous pamper hamper for under £20! It’s a thoughtful gift that you can tailor to the recipient and to your budget. We are definitely starting to feel the cold here in Glasgow! And what with the clocks going back last weekend (an extra hour in bed, yuss!) we decided now was the time to take action and protect our skin from the harshness of the winter. Going solo today – Hannah’s not long back from a week in the sun so she’s not quite feeling the season just yet! From frizzy to fab – my hair story. We went to see the new Bridget Jones film last night, Bridget Jones’s Baby – and we loved it!